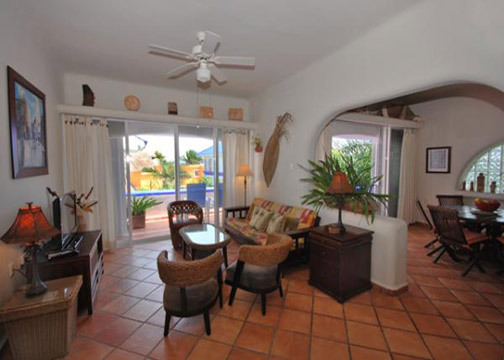 Brisa Pepen (D301) This apartment is perfect for a Caribbean vacation, which is a third floor ocean view penthouse with two bedrooms and two full baths. 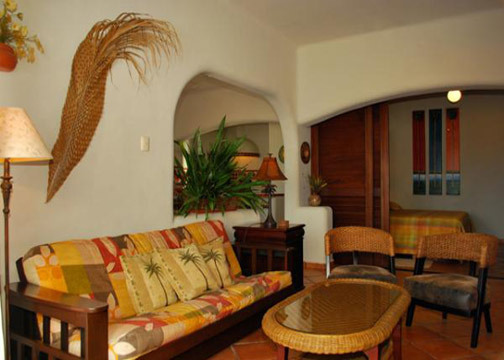 The inviting Mediterranean style decor, warm colors and the sounds of the Caribbean will entice you to shed your worries the minute you step through the door. 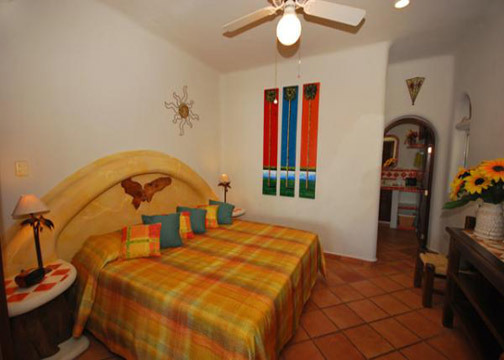 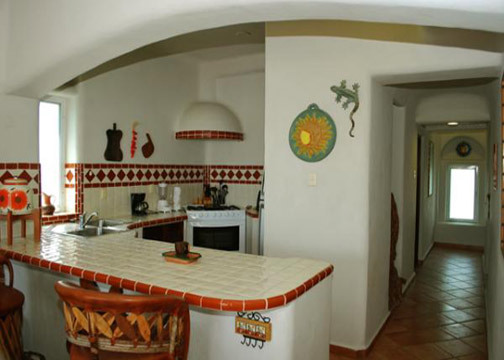 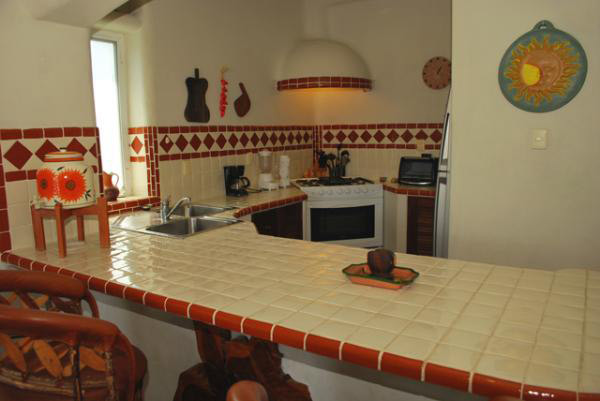 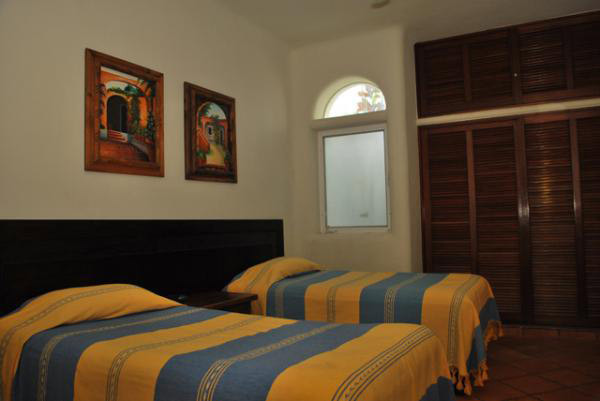 Each of the tastefully decorated bedrooms has its own private bath, and the beautiful Mexican tiled kitchen is very well equipped. 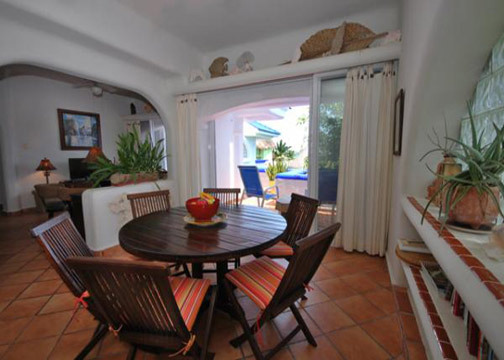 Breezy living and dining areas look out over beautiful gardens of this propierty and to the ocean beyond. 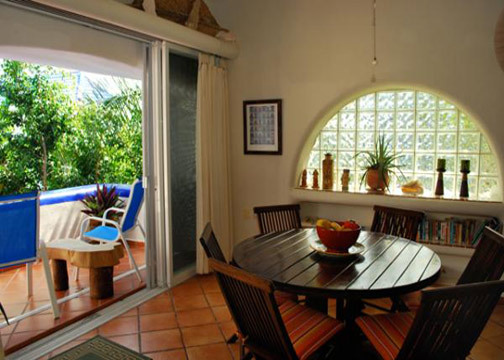 Screened sliding glass doors lead you from the dining and living rooms to a private terrace with its partial ocean views, the perfect place to sip your morning coffee or pause for an evening cocktail. 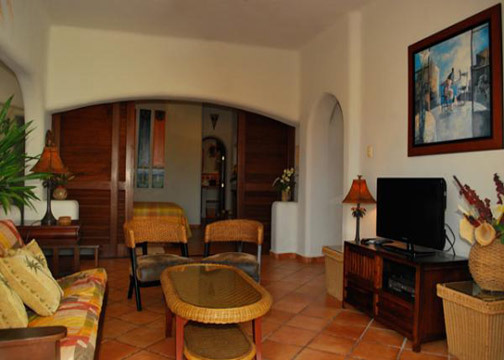 High 2012 Jan 03 – Apr 19 $ 1,470 usd. 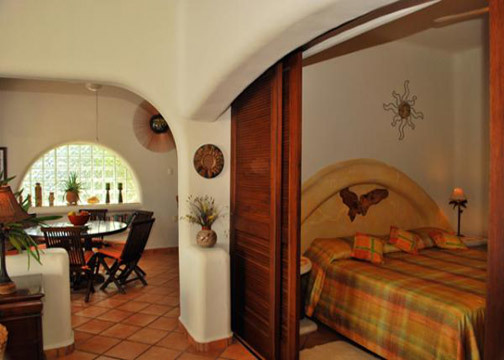 Holiday 2012-13 Dec 15 – Jan 06, 2011 $ 2,400 usd.